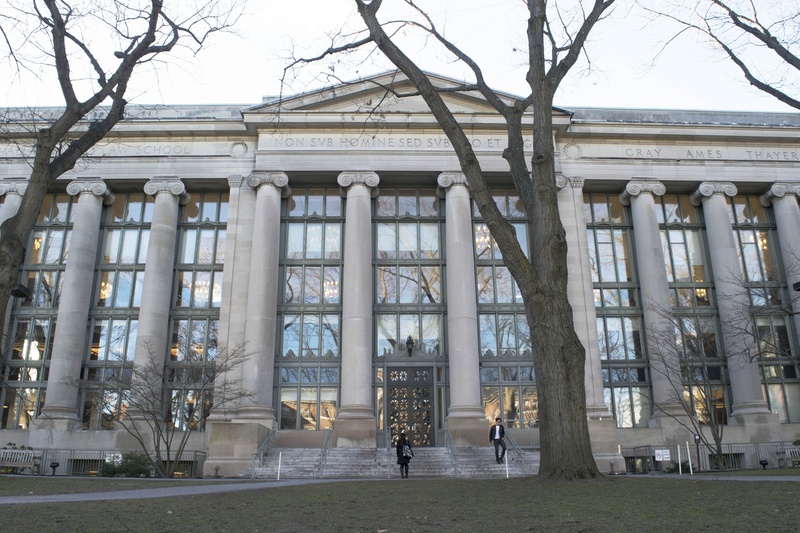 Two former Harvard Law School administrators face felony charges after allegedly stealing funds from a Law School account while employees there several years ago. The defendants, Margaret DeMarco and Darris Saylors, have both been charged with two counts of larceny over $250, according to Elizabeth Vlock, a spokesperson for the Middlesex County District Attorney’s office. Saylors has also been charged with “two counts of false entry into corporate books, uttering a false writing and forgery of a document in connection with an alleged theft,” Vlock wrote in a statement. CBS Boston first reported the alleged theft on Monday night. According to the television station, police charge that DeMarco and Saylors stole more than $100,000 from a Law School fund allocated for disabled students and used the money to purchase personal items like laptops, iPads, and iPods. Michelle B. Deakin, a spokesperson for the Law School, said the school worked with both the Middlesex County Attorney’s Office and the Harvard University Police Department on the investigation. “Criminal charges filed on Feb. 10 by the Middlesex County District Attorney’s Office stem from an HLS internal financial audit a little over three years ago. The audit resulted in a referral to the Harvard University Police Department in Nov. 2013 by the Law School administration and the former Dean of Students,” Deakin wrote in a statement. DeMarco worked as the Director of Student Affairs at the Law School between 2008 and 2013, and now works as the Associate Director of the Center for Women's Entrepreneurial Leadership at Babson College. Saylors worked as a manager of student programs at the Law School and now works as the Assistant Director of the University of Chattanooga Honors College. Neither Saylors nor DeMarco could be reached for comment on Tuesday. In an interview with CBS Boston, DeMarco said that she “made mistakes” while an employee the Law School. Deakin said that no students were ever denied any services because to the alleged theft, and that the Law School has since taken steps to prevent a similar occurrence in the future. “As a result of this matter, the Law School implemented additional layers of controls governing the use of its credit accounts and purchasing protocols,” Deakin wrote.